While speaking with you on the phone, we are able to assist you by remotely connecting to your computer via the internet. No other software provider delivers the level of support you’ll receive from Blue Cow. We understand the propane and fuel oil business, and are committed to being there to assist you in maximizing the value you receive from our Ignite® energy software suite. Our team of highly skilled support professionals understand the propane and fuel oil business, and are ready to help you solve problems and find new ways to make the best and highest use of your Blue Cow software. By remotely and securely connecting with your software via the Internet, we can provide one-on-one service and support as if we were sitting beside you. You’ll be kept up to speed on the latest updates and best practices through our monthly e-mail updates and a quarterly Blue Cow newsletter, along with regular software release notes. You’ll never fall behind! Our helpful “Best Practices Guide” provides helpful tips on making the most of your Ignite® software, including suggestions from experienced users, industry experts and our software developers. Each month users are invited to Blue Cow headquarters for in-depth training sessions tailored to their specific uses of our software. Join other fuel oil and propane company owners and managers to discover industry trends, hear informative guest speakers, learn about our latest software updates, and take a look ahead. All in a relaxed and enjoyable setting. As a Blue Cow Software customer, you can opt in to receive Monthly Email Blasts and Tips. Our Tip of the Month emails help your team make the most of the Ignite Software Suite and provide new ways for you to utilize the software to make business more efficient. Access our Online Customer Portal for the latest news, training videos, and forums/discussions exclusive to Blue Cow Software customers and Ignite users only. The Customer Portal is updated regularly and is a resource from which your team will benefit greatly. Whether you need to introduce a new employee to Ignite® or brush up the skills of your current staff, our extensive library of training videos is just a few clicks away. To access the Training Videos, please make sure that you are logged into your Blue Cow Software Customer Portal account. You will need a separate password to view the videos. Need an answer fast? Hit the F1 help key to access a wealth of information about your software, and a guide to help you find an answer to your question. Can’t make it to a user conference? You can stay on top of the latest features by attending our live webinars to learn time-saving tips best practices. Our webinars are also a great way for new users to learn more about Ignite®. Nothing stays the same, and that includes our energy software program. We are constantly enhancing our products to make them more helpful for your business. As part of our complete support package you’ll receive FREE quarterly updates to your Ignite® software. 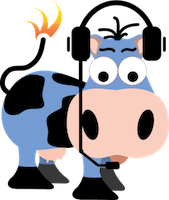 The most powerful software for propane and fuel oil companies, backed by the highest quality customer support- that’s the Blue Cow difference. Call us today at (888) 499-2583 or visit our contact page to get started with Blue Cow today!